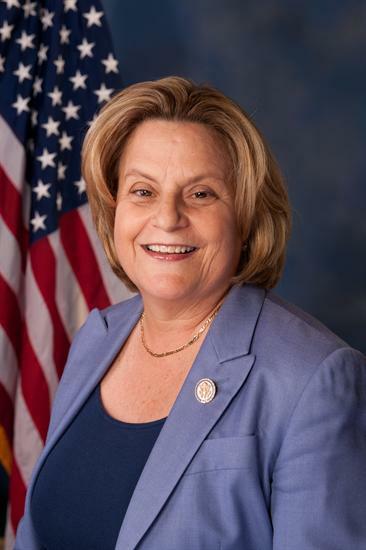 Congresswoman Ileana Ros-Lehtinen (R., Fla.) watched President Obama’s trip to Cuba with keen interest. She was born in that country. In 1960, when she was eight, she came to America with her family. She still has her return ticket, issued by Pan Am. The airline is long dead. The Castros live and rule on. 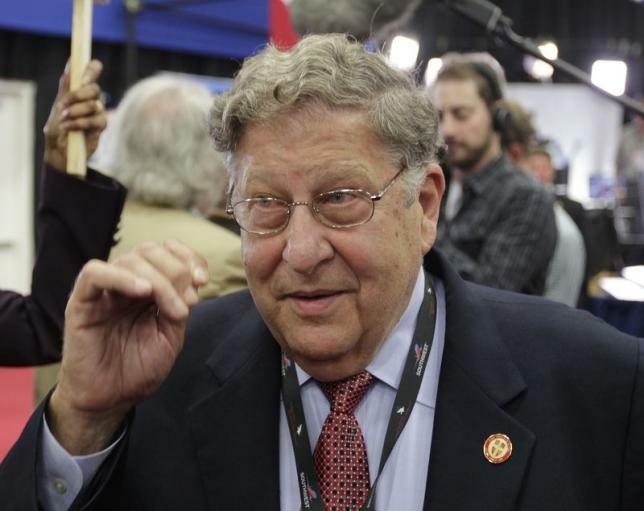 Jay’s guest today is John H. Sununu, the former governor of New Hampshire, the onetime chief of staff to Bush the Elder, and the current and forever politico. He talks about his upbringing: how he came to his views. He talks about the importance of a serious (non-frivolous) education. He talks about free enterprise and some other things that made America great. He talks about his old boss, GHWB, and the book he has written about that president: The Quiet Man. 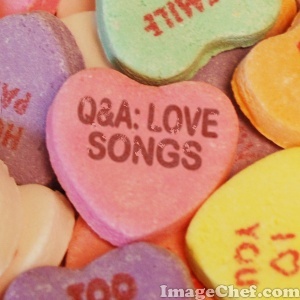 Once more, Jay shamelessly exploits “Q&A” to do a music program – this one in celebration of St. Patrick’s Day. You’ll hear Irish music of various types – performed by John McCormack, Kathleen Ferrier, Bryn Terfel, and noteworthy others. You get songs, needless to say. But you also get a famous march – “Brian Boru’s March” – and a selection from The Father of the Nocturne, the Irishman John Field. In this “Q&A,” Jay talks to VDH about Iraq. Among other things, VHD explains the practical effect of getting Iraq wrong – of allowing a false picture to take over. The effect isn’t good. President Obama has announced that he will travel to Cuba next month. 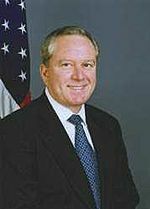 Jay discusses this, and related matters, with Otto Reich, late of the Reagan, Bush 41, and Bush 43 administrations. Reich was born in Cuba. What’s he doing with a name like “Otto Reich”? Jay explains, and Reich explains further. Obama’s trip to Cuba is very important – not in a positive way. Otto Reich knows exactly what it means. There are nine tracks here, from Handel to Berlioz to Brahms to Prokofiev and more. The program ends with what Jay calls, in a flight of hyperbole, “the greatest love song ever written.” It is a justifiable flight, however. President George W. Bush did a remarkable thing: He carried, for all to see, a copy of Eliot A. Cohen’s book “Supreme Command.” Not many of us have our books publicized that way. 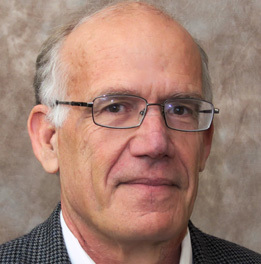 Cohen is the famous foreign-policy analyst, a professor at SAIS (the School of Advanced International Studies at Johns Hopkins University). He has served in the State Department. He also advised Mitt Romney during the 2012 campaign. Raif Badawi is the Saudi political prisoner, sentenced to ten years and a thousand lashes. His is one of the most famous, or infamous, cases in the world. He is a very brave man: a man who has sacrificed a lot for human rights and democracy. His wife is Ensaf Haidar. She lives in exile, with their three children. They found asylum in Canada. … or Nordlinger-Kristol? Tongue in cheek, Bill Kristol suggests such a ticket if Donald Trump is the Republican nominee – because Reagan conservatives will need someone to vote for. “Neither Trump Nor Hillary,” in a slogan that Kristol is spreading. He is Jay’s guest on “Q&A.” They talk politics, of course: Hillary, Bernie, Donald, and others. They also talk about the media. Does media bias matter as much as it used to? Is it still the advantage for the Democrats, and disadvantage for the Republicans, it once was? So, she and Jay talk about David, and the Parthenon, and a certain Frenchman’s water lilies, and Picasso, and some other artistic matters. They then turn to an old boss of Victoria’s: Donald Rumsfeld. And to another, Rick Perry. They end with some remarks on two rogue nuclear powers: North Korea and Iran. Bill Bennett is one of America’s great teachers. He taught, really, when he was secretary of education. He teaches daily on his radio show. And he teaches through his books, the latest of which is America the Strong: Conservative Ideas to Spark the Next Generation. 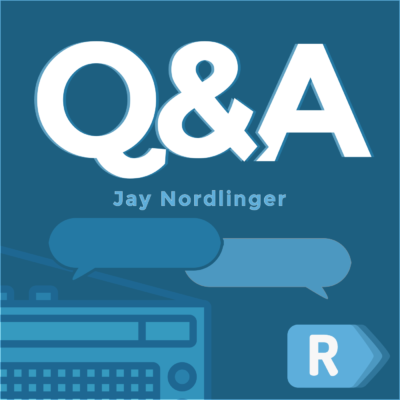 In this “Q&A,” Jay asks him to talk about drug legalization. And Common Core. And the terms “neocon” and “establishment.” He also asks him to identify big problems with 1) liberals, 2) conservatives, and 3) libertarians. There is also a little talk concerning the upcoming presidential election. In this “Q&A,” Jay invites him to talk about some of the biggest issues. What is libertarianism? 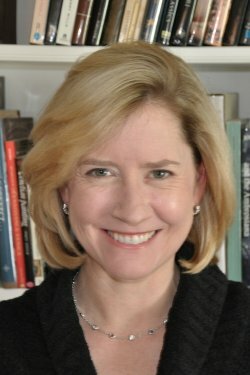 What is conservatism? What is Barack Obama? What is Hillary Clinton? How are race relations faring? Is America one big meth house? Are colleges worth sending your kids to these days? Do you err on the side of national security or civil liberties? Is America biting the dust? Jay’s guest is Isabella Boylston, a ballerina with the American Ballet Theatre. She has been in California, dancing Clara in “The Nutcracker.” She and Jay talk about “The Nutcracker,” and its enduring popularity, and about some other issues in the ballet too. To see a bit of Isabella in another Tchaikovsky ballet, “Sleeping Beauty,” go here. And to see her in a short film called “Snow Day,” go here. Jay does not do a traditional “Q&A” this time – and not a “Q&A” at all – but a Christmas show. A show of Christmas music. He plays seven of his favorite tracks, from Bach to “I Saw Three Ships” to gospel. Performers include Leontyne Price, George Shearing, and Chanticleer. A medley for the season. And a shot in the arm, or wherever it is needed. For many years, David Horowitz was a shake-’em-up figure on the left. For many more years, he has been a shake-’em-up figure on the right. He is now embarked on a big publishing project: The Black Book of the American Left: The Collected Conservative Writings of David Horowitz. With Jay, he is his characteristic blunt self, giving it to Obama, Hillary, and others we could name (and do). He also says that it is his great mission in life to get America to wake up, when it prefers to slumber – or when it prefers to think of the Left as a bunch of woolly-minded idealists who mean well. In a recent issue of National Review, Jay had a piece called “Underground at Brown: A secret forum in which people can talk.” Later, he did a larger Web version, here. At Brown, there is a secret Facebook group in which students can talk freely. They can talk about whatever they like, including controversial issues. Shouldn’t they be able to do that out in the open, above ground? Yes – but the atmosphere at Brown, as at other universities around the country, makes that impossible. For his piece, Jay interviewed two students: Chris Robotham, the founder of the group, and Marie Willersrud, a member (who is from Oslo, Norway). Jay thought you might like to hear from these two directly – so here they are, on “Q&A.” They are gutsy, bright, and wonderful minds and spirits. They are, really, the pride of their university. In recognition of Thanksgiving, Jay has gathered four worthies to discuss America, and what to be grateful for, where America is concerned. The worthies are Mona Charen, Scott Immergut (aka Blue Yeti), Kevin Williamson, and Charlie Cooke. Jay has approximately 20 categories: “Name three of your favorite American . . .” movies, foods, novels, comedians, states, accents, singers, athletes, presidents, sites, etc. It is a regular festival of Americanness. Celebrate along with them. And of course, please tell us your favorites in the comments below. Ben Sasse was elected senator from Nebraska last year. He has just given his maiden floor speech: detailing what is wrong with the world’s “greatest deliberative body.” He and Jay talk about this. Why is the Senate broken? What is the responsibility of the people themselves? What about entitlements? And the “administrative state”? And the new reality of employment? And cyberwar? Jay’s guest today is David Pryce-Jones, the British journalist, historian, and novelist. He has just written his memoirs, “Fault Lines” – a book that is about the extraordinary family from which he sprang, as well as about himself. With Jay, he traverses any number of subjects: the war, and his flight through France down into Morocco with his nanny; his encounter with the Arab world; his studies at Eton and Oxford.